Cast spells, solve puzzles, and bring your enemies back from the dead as you dance towards the noblest goal any necromancer has ever had: PARTYING! ‘Skeletal Dance Party’ resurrects the charming voxel style and hypnotically bouncy physics of its viral predecessor, ‘Skeletal Dance Simulator’, into a full-bodied narrative experience. By casting spells, moving objects and people with telekinesis, and resurrecting your enemies as more skeletons to join your party crew and reach the all-important goal of having the biggest party ever! In this adventure you play as Reva, a young fox-eared necromancer on a quest to hold the biggest, funnest, most awesomest party for all her new friends! Her new friends just so happen to be reanimated skeletons harvested from the bodies of her enemies, but she’s raised the dead and now they wanna raise the roof! You and your newfound friends will battle against the oppressive forces of the Temple of Righteous Light, invite a myriad of monsters to your big bash, and dance your way to victory! So grab some milk and get ready for the party of your life and afterlife! Everything is physics-based - you've been gifted with the power of telekinesis! You'll solve puzzles, throw your enemies, and bring your friends and surroundings exactly where they need to be! You'll also be able to flip tables, which is way more important. Expand and lead your party army to victory with an range of magic spells and mystical powers! By the wiggling of your nose (and the tapping of your keys) you'll turn the bodies of your enemies into more skelepals to keep the party going all night long! Your skeletal minions will use anything they can get their boney fingers on to make your party as killer as possible! Your boney buddies will equip everything from weapons to hats, from spell books to trumpets, and dance their way into battle against the forces of the Temple! Hippity hopp! It is Easter and that means a patch with eggs, bunnies and dancing skeletons! Time to go and steal some eggs from the Bunnymancer! First for some awesome piece of news. 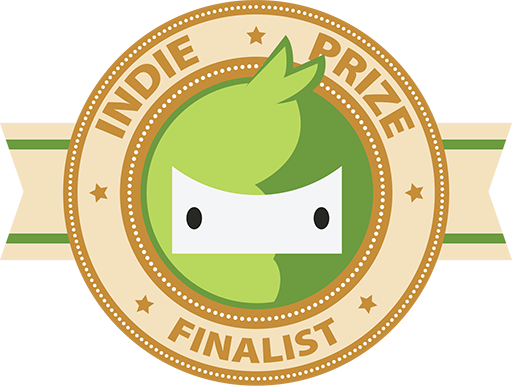 Skeletal Dance Party is one of the finalists for Indie Prize 2019. That means we will be at Casual Connect in London May 28-30. If you are also there make sure to drop by and say hi to us! A surreal stretch of territory, these well-hidden catacombs echo with the chittering of long-eared burrowing creatures. It is said that a powerful wizard known as Bunnymancer the Bunnymancer (and Not Very Creative) dwells here, harvesting magical eggs and turning any hapless intruders into puffy-tailed, carrot-loving bunnybones! Unlocked after Gucha's optional Spook-ey Hole quest. A dark ritual has cursed this hat to smell like carrots. Transform a fallen corpse into a bunny skeletal pal. Bunny skeletons have increased life and a charge attack. Can be found at the end of the Hoppity Halls quest. The catacombs have been filled with easter eggs. 7 tracks to shake your bones to. Goes great with a black robe and hourglass. Milky and kitty skeletons have correct voice. Milky skeletons has unique texture. Improved some of the rooms and spawn locations of loot. Fix door physics, you will not longer be damaged by running into doors. Fixed bug causing certain not droppable items to be dropped. Fixed bug causing question marks to appear in hubworld for quests already discovered. I hope you enjoy the update and have a wonderful Easter! Skeletal Dance Party can be found on the following stores.